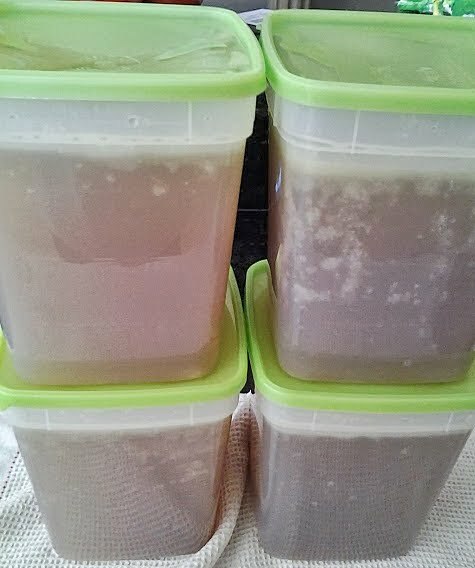 Have you ever felt you have a hoarding problem when it comes to chicken stock? I have. Weird? Probably. Half of my deep freeze is containers of stock. Homemade stock is...well...its my essence! Wierd, again? Look at the ingredient list of boxed stock. It's about 2 inches long. No thanks. Here's my method... Fill your largest pot with tons of veggies - celery, onion, garlic, carrots, herbs - don't bother doing much with it - I leave the skins on the garlic and onion and the tops can stay on the carrots. You'll need some seasoning, too -- peppercorns, lots of kosher salt, and the secret ingredient...cloves. Add some chicken, in this case I used leg quarters which are ridiculously inexpensive. You can also use a whole chicken, drumsticks or wings. Just use the equivalent of about 3-4 pounds of meat. Add cold water, simmer all day. 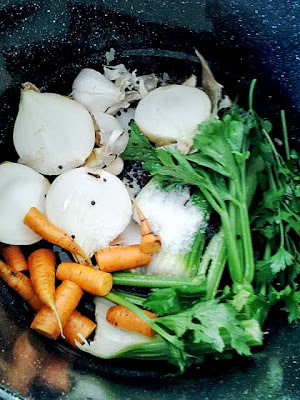 I usually try to bring the stock up to a quick boil, and then reduce the heat to a medium, medium-high. I leave the cover of the pot slightly ajar, so that steam can escape. Strain out your chicken and vedge and....I know...do what with all that chicken and produce? It gets me every time. 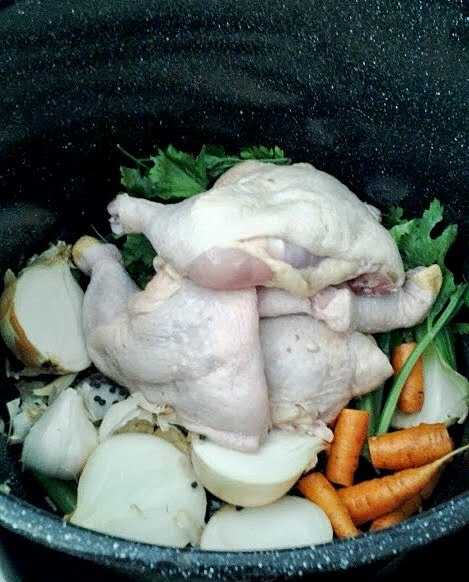 It feels like waste, but I've tried in the past to salvage the chicken for soup, but the texture is lacking. Who wants to eat chicken that's been boiled for 5 hours? It's kinda mushy, stringy and all the flavor is in the stock. 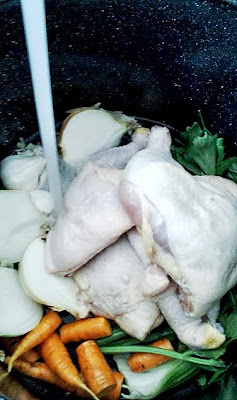 So, I just chock it up to all the chicken goodness going into all my homemade soups and that's worth it for me. Rinse and pat the chicken dry. Cut the carrots and celery into large 3" chunks. Slice the onions and garlic in half, leaving the skin on. Place the chicken, carrots, celery, onion, garlic, Italian parsley, salt, peppercorns and cloves in a large stockpot. Cover with cold water. Simmer over moderate heat for about 5-6 hours. Strain chicken and vegetables out of stock, discard. Chill stock in the refrigerator until very cold. Skim off fat after chilled. 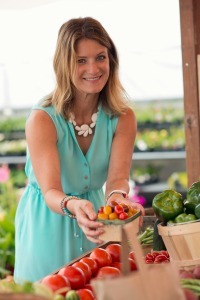 Place stock in containers, leaving about one inch of headroom space and freeze. Keeps for about 6 months. Or a week in the refrigerator.